Lobster fabric. 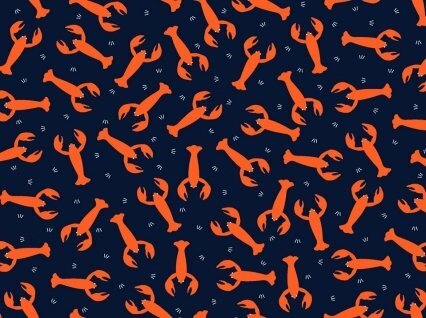 Dark blue background with bright lobsters. By Dear Stella fabrics - 100% cotton.